On mornings when I do a cardio and strength intensive workout (Cyc, kickboxing, Flywheel, etc) I like to make sure I follow it up with a quick and easy power breakfast. 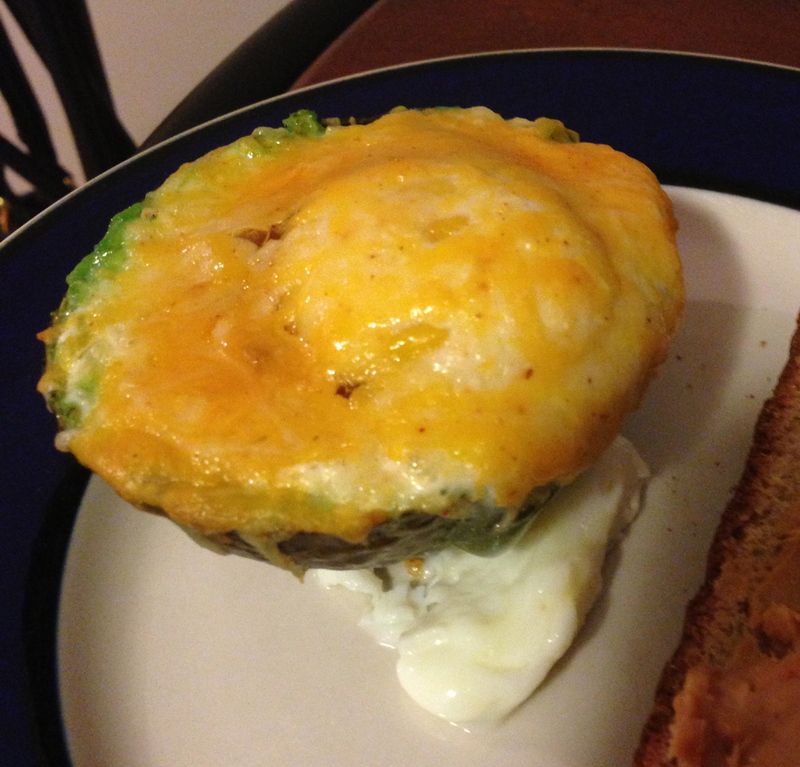 One of my go-to’s is the egg stuffed avocado. This recipe is super easy to make, healthy (avocado AND eggs! ), and absolutely delicious. Preheat the oven to 425 degrees. Take the avocado with the pit out and crack the egg in the center of the avocado, just like you would if you were making eggs sunny side up. Depending on the size of the pit and the size of your egg, you may need to scoop out a little bit more of the avocado’s center. Pop the avocado in the oven for about 15-20 minutes, or until the egg is cooked. I waited until there was about 5 more minutes left, and sprinkled on some shredded cheese, but you can use whatever toppings you like–bacon, chives, etc. Enjoy!